In 2014, SWFight listed the trilogy between Donald and Angelo as the fight we most wanted to see. That hasn't changed two-years later now in 2016. Let’s not sugar coat this. Let’s not waste time with a general intro. 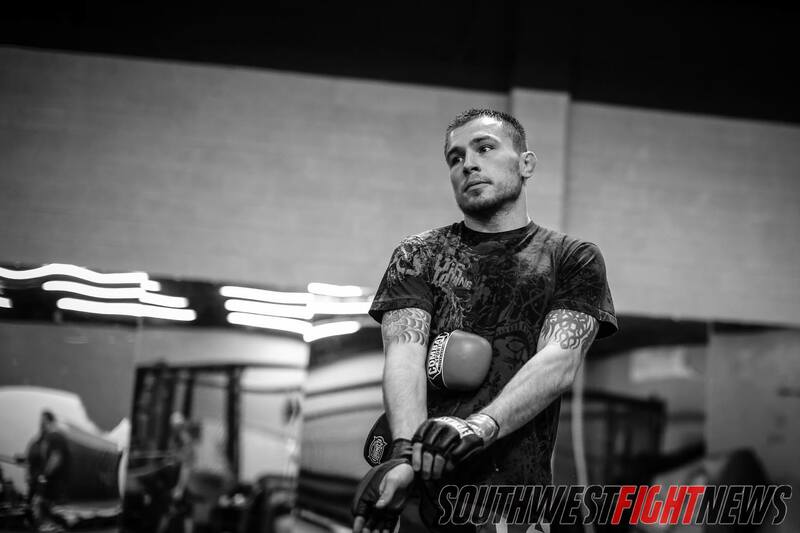 New Mexico MMA is in desperate need of revitalization and it couldn’t come soon enough. That isn’t an opinion. Just take a look at the facts. It can be seen and felt by anyone paying attention. This year, in 2016, fight fans continue to see less events, fewer promoters, and dramatically less buzz as each year passes. Included in that, fan favorites have either fought less or fought in other regions. This isn’t a 2016 issue though, in fact, this has been an issue for a few years now. Fewer shows, fewer opportunities, and fewer marquee match-ups have led to losing the interest of local fans which is best seen in the decline of ticket sales for local shows. The “Mecca of MMA” may still have its fair share of elite level fighters training within the State lines, but it is hard to argue against my claim that the fight scene is definitely taking steps backwards instead of forward. Bottom line. We need to bring back the buzz. Once the Queen Bee of New Mexico MMA, Holly Holm (pictured) was and arguably remains the largest draw in New Mexico combat sports. Unfortunately for the local scene, Holm is now taking in the National spotlight. When this author attended the first ever UFC event held in New Mexico back in 2014, I openly stated it would be a long while for the promotion to return. After I obtained the ticket sale figures for the event it was easy to see how disappointing the turnout for the show really was and it was clear to me that this market wasn’t as lucrative as many assumed it would be. Now many people, including other local media outlets, praised the event as a success and falsely covered how great the turnout was. Not me. I am the resident pessimist realist around here. While I may be wrong from time to time, this isn’t one of those times as I have seen the sharp decline of the MMA scene in this State happening for years. For your own proof, start by asking yourself how long you’ve been a fan of the local scene. If your answer is only a few years well you came into your fandom during the decline. If you answered at least five years or longer than you should be aware of the changes in the New Mexico MMA landscape. For those of you in the first few years of fandom, even you will remember that Bellator once came to New Mexico three times in 2013. A time period that also saw the RFA and XFC visit the State to bring their marquee event to our fight fans. The bigger picture illustrates better for the fans with more years under their belts. We saw how many shows Fresquez Productions once did, even joining up with Legacy FC to co-promote, and how those shows slowed down as Holm transitioned into the national MMA scene. The up-start promotions either failed to survive the economic recession that has plagued small businesses all over the State or they have done a poor job at building a fan base. Who remembers the King of the Cage events of old? The events in Ruidoso that once featured Daniel Cormier or rising star at-the-time Tim Means. Who remembers when Fight World came to Albuquerque and featured another rising star Carlos Condit facing off with the accomplished and well-known Carlo Prater. Fun trivia for your friends if you remember that Evolution Combat Sports put on a WMMA-featured fight card that showcased perennial top fighters Jessica Aguilar and Carla Esparza. How about the Jackson’s MMA Series that once featured Julie Kedzie and “OX” Wheeler. Who can say they attended Duke City Brawl featuring John Dodson and Michelle Waterson? Sure, these fighters didn’t have the name value at that time that they may have today but what they did have back then was buzz. They were polarizing figures in the local scene. They moved the proverbial needle. Not only are the shows not the same. The needle-movers aren’t the same either. With all due respect to the current athletes active in the fight game, we simply do not have the established local “stars” competing and making a difference in terms of exposure and drawing in the crowds. Venues aren’t packed anymore and while New Mexico has popular fighters no doubt, it is not the same it once was when a handful of fighters could essentially guarantee a sell-out. Maybe some fighters are coming up and potentially can fill the void to become our State’s next big star but it doesn’t seem to have happened quite yet. One of New Mexico’s true “ironmen”, Donald Sanchez (pictured) has been a fixture of New Mexico MMA for over a decade. For a fight scene in trouble, Sanchez could help resuscitate the fight scene. During one of the most prolific time periods for New Mexico MMA, there were a solid handful of fighters who could carry a local fight card in terms of ticket sales. 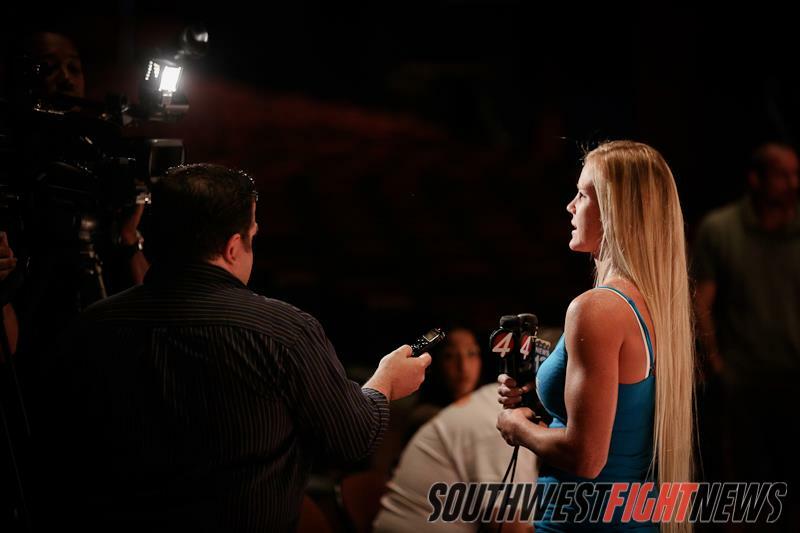 Undeniably, the biggest needle-mover was and remains Holly Holm, in large part due to her boxing career and the fact that she rarely left the State of New Mexico for competition throughout her career. She built an enormous following that helped her pack venues and create the most buzz of any local fighter arguably since fellow boxer, the late Johnny Tapia and arguably in all of local MMA period. However, even her buzz had started to fade prior to her UFC signing as her last few shows in New Mexico didn’t produce the typical sell-out, but yet, she remained the closest thing to a sure sell-out up until her final local showing. Donald Sanchez was next on that list when it came to pushing tickets followed by Rio Rancho’s Adrian Cruz, Santa Fe and the Northern area’s Angelo Sanchez, the aforementioned “OX” Wheeler, and a few others. These were the fighters that you knew once they announced their match-up that the fight game would start buzzing. But where are these fighters now? And if these fighters aren’t drawing the big numbers where are their replacements to represent the new era of the sport in New Mexico? This brings me to the point of this three-part series. While it has been several years since Donald and Angelo Sanchez have sat atop the MMA pedastool in New Mexico, I believe these two men could be the answer to my question, “Is there anyone left that can bring back the buzz?”. I believe the rubber match is what New Mexico needs. Sanchez vs. Sanchez III. New Mexico needs Angelo and Donald to revive their rivalry. New Mexico needs something to look forward too. New Mexico needs substance and not just the old method of throwing together a fight card talking about all the “game” fighters ready to “put on a show”. The pair of veteran fighters encompass what we need to cherish about combat sports. These two fighters are martial artists. They have been training in the assortment of disciplines of combat for years. They committed fully to the fight life and coming from a local who has watched a majority of both fighter’s New Mexico bouts, it is obvious to note that Donald and Angelo gave it all to the fight game. The signed on the dotted line for fights and brought the entertainment to the crowd. They did their job as performers. In a physically demanding sport where inflicting damage is the goal, Angelo and Donald have sacrificed their bodies for the sake of martial arts. The old cliché of “mind, body, soul” in reference to their efforts as athletes fits perfectly as those three things are exactly what Angelo and Donald have given us for over a decade. New Mexico is lacking a little bit of that old school fight mentality. As we continue to usher in this new era of media and marketing where social media rules the game, maybe we need to simplify the approach to fight promotion. Maybe the same questions and answers in interview after interview are growing tired. Maybe the constant updates about training, “feeling great” at x-weight x-days before my fight are growing to be too common and plain. Maybe its time to call two of New Mexico’s most reliable sources of competitive talent fight acumen. Bottom line. If New Mexico puts together a legitimate Hall of Fame – Angelo and Donald are sure-thing first ballot HOFers. Donald and Angelo, NM MMA needs you. Or at the very least, we need what the two of you were so willing to give our State’s fight fans. We need the essence of what both of you represent when you make the walk to combat. Both fighters carry with them the spirit of what MMA means to this area. Donald from the South, Angelo the North; a third and final clash between two of the most accomplished athletes to ever grace a New Mexico MMA event. Two of the pioneers of MMA revitalizing the sport locally and renewing a rivalry that transcended New Mexico and will forever leave a mark on our sport’s history. A rubber match. A trilogy fight. A final conclusion to a battle that started about seven years ago. Two athletes doing what they know how, what they know best; to compete in hand-to-hand combat to settle the score. Only this time the stakes couldn’t be higher. Not only is this the fight to determine the finality of over an hour worth of cage-time against the other but to help resuscitate the local fight scene by breathing much needed air to the buzz factor around New Mexico. Maybe this fight doesn’t happen. Angelo, last I heard, was retired but has remained active in training. Donald, still actively competing, just signed a deal to fight in Russia. Still, fact remains, we need the fighting spirit back in New Mexico and we need the fight fans to engulf themselves in the rich culture that built the foundation of combat sports in our State. Stay tuned for part two coming out tomorrow detailing the first two fights between the legends and part three soon after.